Ruger has been serving the shooting community for years—introducing one of its best compact models to date: the SR9 Compact. The SR9C comes with a unique backstrap, a patented loaded chamber indicator, accessory rail, and a dovetailed sight system. 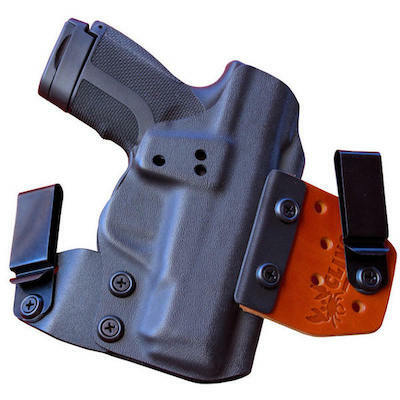 Learn more below and be sure to browse our Kydex Ruger SR9 Compact holsters for concealed carry above. 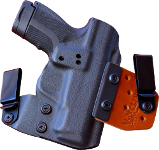 The SR9C is modular that comes with a reversible backstrap, either flat or arched, which allows for a custom grip size and feel without the need for specialty tools or separate inserts. It comes with an integral accessory mounting rail so that you can add your favorite tactical light, laser, or other accessory. Their SR9C series has a manual safety and a D-shaped magazine release which is easy for both left-handed and right-handed shooters. The sights are dovetailed for high-visibility with a three-dot system that has a “raked-forward” front sight for ease of de-holstering. This system also includes an adjustable rear sight and forward sight serration for a secure grip. 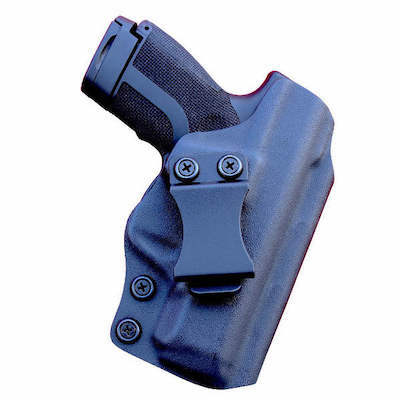 Ruger’s SR9 Compact also accepts full-size SR9 accessory and magazines for those who already are fans of the SR9 Series. 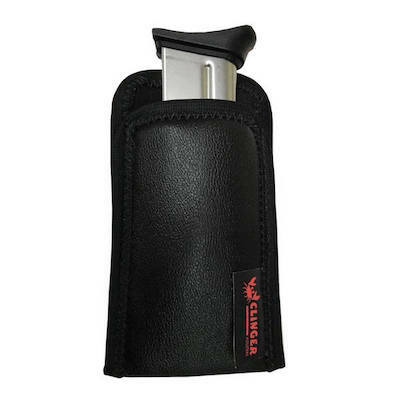 Ruger additionally includes a Finger Grip Extension Floorplate, one 10-round magazine and one 17-round magazine with grip extension. 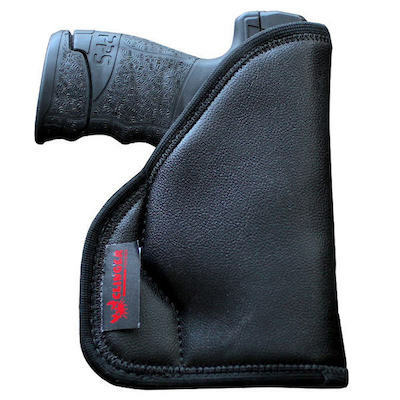 Cosmetically, the gun is finished in black, high performance, “glass-filled nylon” which can stand up to normal wear and tear and prevents corrosion. The slide is made of stainless steel with a matte stainless finish on their SR9C Model 3313. 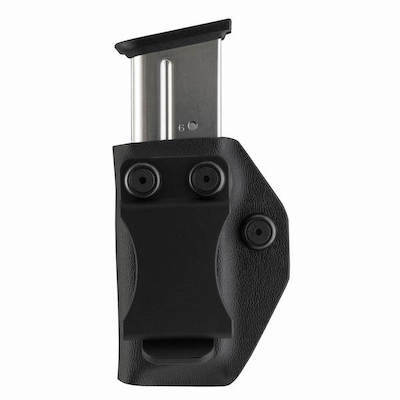 Additionally, the SR9 Compact is increasingly—well, compact and perfect for concealment in our Ruger SR9 Kydex holsters. It weighs in at 23.4 ounces while empty; is 1.27 inches in width, an overall length of 6.85 inches, and 4.61 inches high. 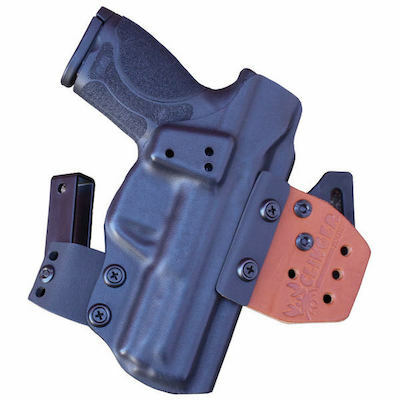 In a good IWB holster, this pistol would ride with a small footprint, which is perfect for deep concealment. Ruger offers three other models in the SR9C series.